We are pleased to be able to provide restaurants and hotels with fresh, organically grown vegetables straight from the farmers. 1. We check what veggies are ripe for the picking and we send you an availability list every Monday morning. 2. You place your order with us by Tuesday afternoon. 3. We collect the veggies from the farmers who harvest on a Tuesday afternoon, or Wednesday morning. 4. We deliver the veggies to your door on a Wednesday around lunch time. 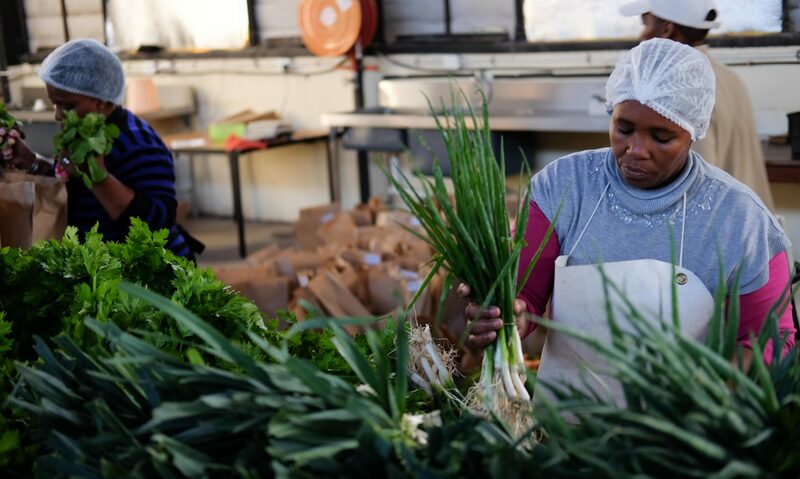 Behind this seemingly simple process there is however a complicated system of farmers checking what is ready for picking, quality control, weighing and washing of veggies, as well as ensuring that the farmers get paid a fair wage for their produce. 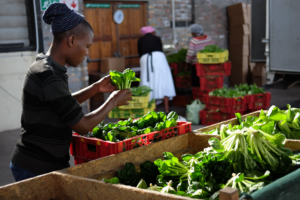 Abalimi has been supporting farmers in the townships for 35 years (since 1983) and Harvest of Hope was the first social enterprise to buy veggies directly from the farmers to sell to the upmarket clients. We are a social enterprise* and we do this for the farmers, so this means that we need to keep our overheads to a minimum. 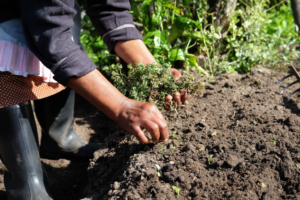 We provide farmers with training, access to seeds, seedlings and manure, as well as support around irrigation and soil building. We try to keep do this without frills, so that you can get the best product directly from the farmers, while the farmers get the benefit of selling their surplus vegetables and building up their own little business. 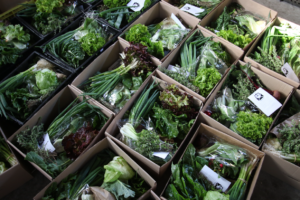 Please contact us if you would like to buy your veggies from us in larger quantities than the box scheme for your hotel, restaurant or market. We will also be happy to put you into direct contact with our farmers and invite you to visit the gardens.